snowdeal.org > ex machina: profiling pectins. 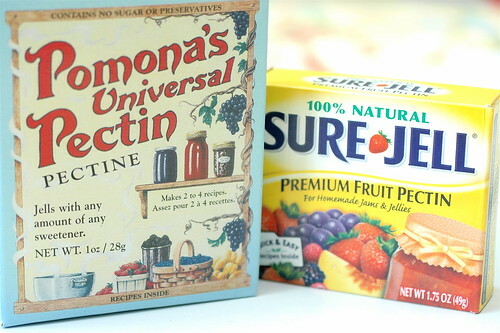 when we're making our strawberry jam we decided to compare the tried and true sure gell fruit pectin - which requires a lot of sugar to set properly - against pomona's universal pectin which can be made with little to no sugar. we've never used pomona's before, but have read some positive reviews so we thought we'd put them head to head and report the tasty results.